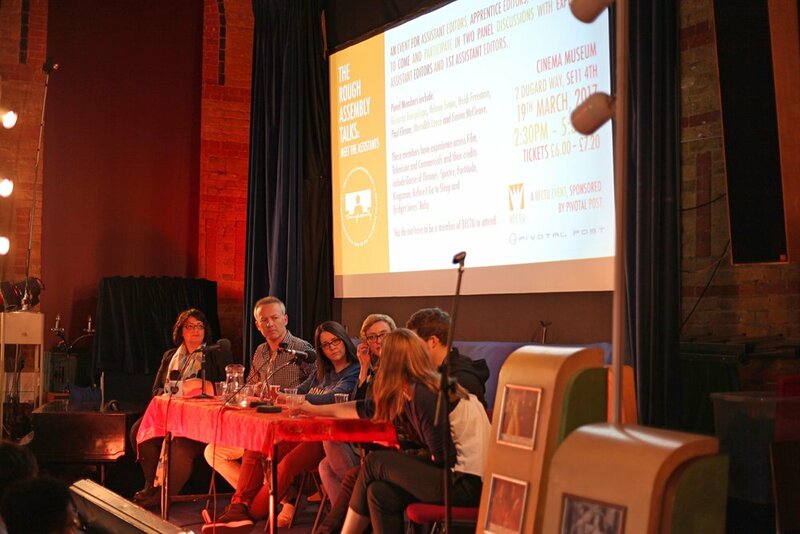 On the panel were Riccardo Bacigalupo, Helena Evans, Heidi Freeman, Paul Elman, Meredith Leece and Emma McCleave. 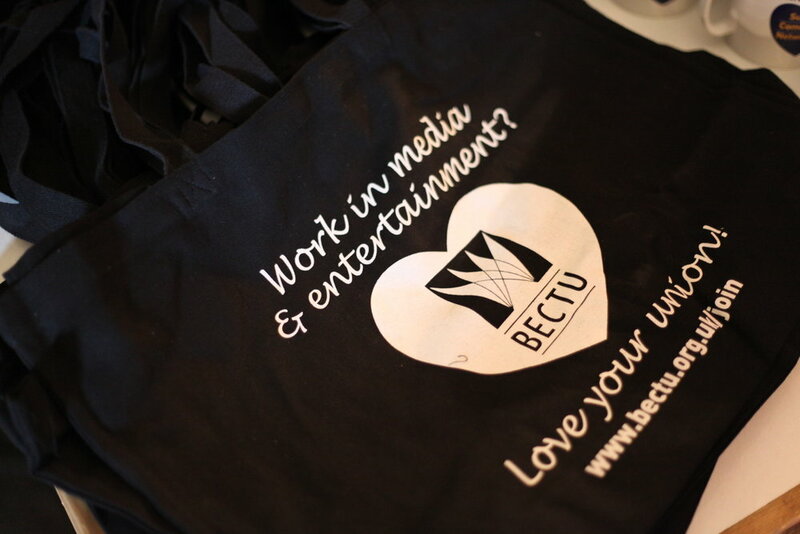 These BECTU members have experience across film, television and commercials and their credits include Game of Thrones, Spectre, Fortitude, Kingsman, Pride and Bridget Jones’s Baby. Below is an overview of some of the topics covered. Getting a job in the industry often means starting out as a runner, this was true for many members of our panel. After that, the route into the cutting room, specifically a Film or TV cutting room, was different for everyone. The common thread was that at some point, someone they met gave them an opportunity as a trainee or assistant. The ability to engage with the people, even when serving drinks to them, is a key part of networking in an industry that often relies on word of mouth recommendations. Something also repeated by several members of the panel was that in the early stages, they told people what their aims were. People don’t always know why you’ve chosen to be a runner, so expressing a desire to learn a certain skill or progress into a particular position is part of the path to getting there. How long it then takes to achieve that aim also varies, not least because jobs are usually short term. The point at which each member of the panel felt they’d ‘made it’ in the industry was dependent on their individual experiences and goals. 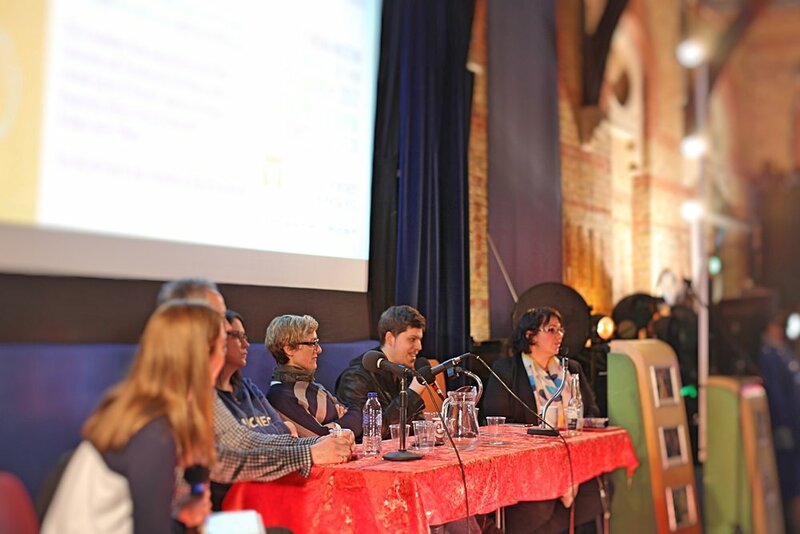 For some members of the panel it was when they worked on a high profile project, for others it was when they felt competent enough to take over a project from someone else, for another member of our panel it was when they found they could manage cutting room working hours and family life. There is no better way to learn how a cutting room works than to work in one, but there are resources out there to prepare you beforehand. A few members of the panel had independently read The Film Editing Room Handbook by Norman Hollyn and highly recommended it as an overview of what could be expected from the experience of working in a cutting room. One of the most important things the panel had learned from their own experiences was to write everything down. As an assistant editor, a large part of the job is organisation and time management; the cutting room will receive requests from different departments who are not always aware of what else you might have on. Writing down what needs to be done is a simple way of making sure nothing gets missed and can be referred back to should things go amiss. It is also a way of recording work-flows so that there is a consistency in the things coming out of the cutting room. There are a various ways of doing the same task and what worked for the previous project may not be suitable for the next one, so even for experienced assistants there is always something new to learn. Each software update or new camera file format holds the potential for a new workflow system. Being willing to keep learning and adapt to whichever new software or hardware a production has decided to use is important to being a good assistant. Cutting rooms are places of technical processes and creativity. The panel discussed the attributes each felt they brought to the cutting room and it was clear that being able to problem solve is key. As the assistant you will often be called upon to find a solution to a range of issues from an Avid error message you haven’t seen before to questions about a shooting location. There is an expanse of help available online but sometimes the best answers to a specific question can come from another assistant. Many of the panel discussed the ways in which, despite working on separate projects, they had helped each other. When looking for people to work with in the cutting room, valued qualities included a sense of initiative, fun and being nice. Cutting rooms can be stressful environments; having supportive team members who can lighten the mood, or remain calm when the pressure is on changes the dynamic of the experience. Most of the time getting a job in a film or television cutting room means becoming a freelance worker. 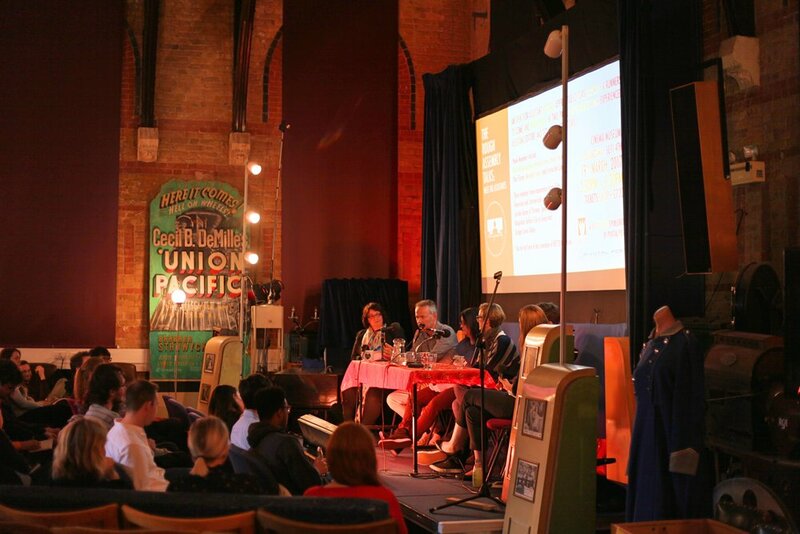 At some point, most of our panel had to leave full time employment and become freelance to further their career. This change in working lifestyle does require some negotiating skills as well as some tax and legal knowledge. As a BECTU member, there is support on all these things; the BECTU rate cards can help you negotiate a fair deal and BECTU has tax and legal experts who can offer advice for whatever working situation arises. For some people, being an assistant editor is the career goal. It is a challenging job that requires a diverse skill set with both technology and people. Each project taken on presents a new set of problems and increasingly, may be shot or edited using new types of technology. Mastering the challenges each project brings can be very rewarding. It can also be satisfying to build a working relationship with a particular editor in which you have tried and tested methods that make the process more efficient, smooth and fun on each job. There are also those who started out on the path to becoming editor via the assistant role. It is a great way to see first hand how an editor approaches storytelling and gives a person space to practice without the pressure of being in the hot seat. 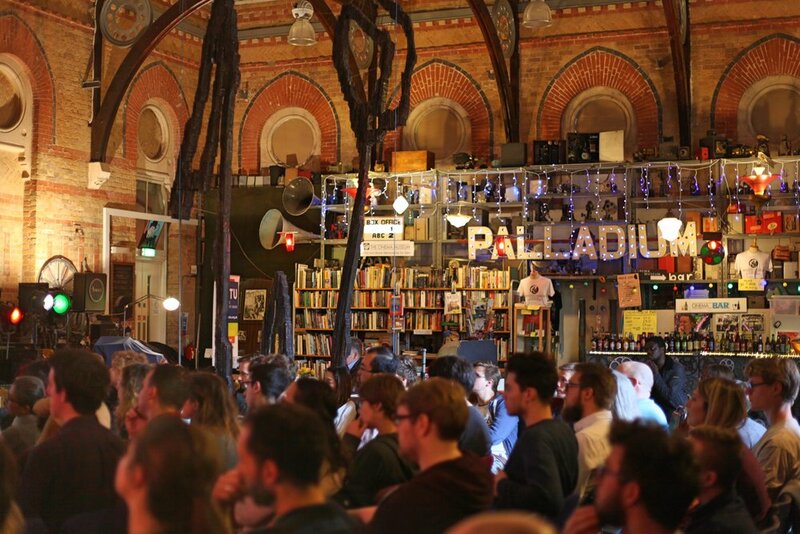 It is also an opportunity to meet directors and producers who may have side projects. The same philosophies behind how to get in the cutting room in the first place apply to becoming an editor. Letting people know that is your goal is important. Then the challenge can often be finding opportunities to demonstrate ability. The importance of networking goes beyond finding a job or the next step-up, it can also aid you in getting through challenging tasks or obscure error messages. When you’re coming up through the industry it can feel like you are surrounded by competition but the truth is that there is a community of people who can share what they learn when faced with similar challenges, helping to maximize opportunities for everyone.